Our Guarantee: Reading this book will change your life. The life you are living is a copy of someone else's. It is a patchwork quilt of borrowings and unconscious influences. When you recognize this, really see it, something independent of any mental embellishment awakens a new self. You can call this new self, I am. This ineffable spirit authentic YOU wakes up with a desire to explore its potential. In 1986, a teacher named Harry Palmer created The Avatar Course. That same year he founded Star's Edge InternationalÂ®, the seminar management corporation that supervises the delivery of the Avatar Materials. Harry's writings are a profound contribution to the growing body of knowledge, exercises, and processes directed to self-improvement. Many individuals and companies in the personal-development industry have adopted his ideas. The Miracles of Your Mind: Are you ready to unlock your true potential? The simple wisdom in this book amazes me. I felt like it was written to me. I felt understood and not alone. I often refer to the book when I want to go deeper inside, to feel who I really am. What a great book! I’d highly recommend getting it if you really interested in understanding yourself and others better, and make changes from the inside out. I created a new ME that reflects who I really am in so many areas of life, I believe that increasing my love and affection to other including myself leads to everything I could ever want in life, this book together with doing the actual Avatar exercises helped me to genuinely generate this affection to others and myself. This content is amazing, the best, most complete, most practical toolkit to exploring life, concepts of mind, perception, consciousness, spirituality, and self -empowerment that I have come across. It is an integration of millenia of spiritual tools, contemporary knowledge and unique insights. The Avatar Training is gentle, practical, and brilliantly structured progression of simple exercises. 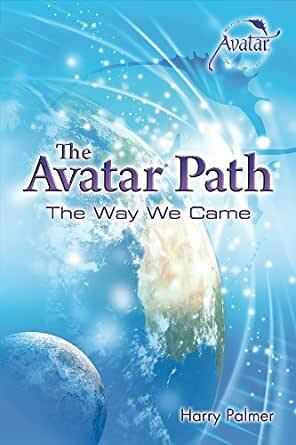 What I sought through a decade of therapy, and a life of spiritual seeking, Avatar delivered to me in a matter of weeks. Having been through the Avatar training, I am surprised that so much of the course content, it's philosophy at least, is included in this book. It's a transparent overview of the course content and objectives, soup to nuts. A caveat, however, is clearly spelled out in the book: an intellectual understanding of, and agreement with, the content is not the same as #experiencing# the lessons during the Avatar course. Read this book if you want to whet your appetite or understand better what the Avatar path is all about. Do not, however, expect to *integrate* the lessons until you go through the course. A refreshing view of managing ourselves to be who and what we want to be. It's similar to eastern philosophies in many ways but that's it's strong suit. 5.0 out of 5 starsThe Kindle edition is cool! I've read this book before, but enjoy being able to read it on Kindle. I would recommend it to everyone!